Prices depend on the day of the week, the time of year and the distance we need to travel to provide our service to you so we need to quote individually . 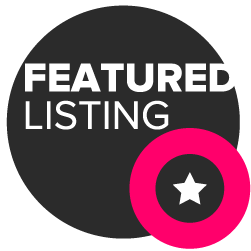 It only takes a moment using our Instant Quote system so get in touch. 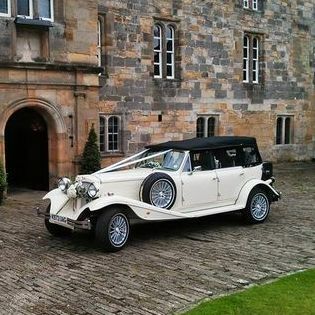 The Wedding Car Hire Company is a limited company based in York. We are not an agency, we are a full time business providing wedding transport. It is our passion to look after other people on their wedding day - we enjoy it whilst taking it very seriously. We don't dash from wedding to wedding cramming in as many as can be done in a day, we always allow leeway for delays should things go wrong. 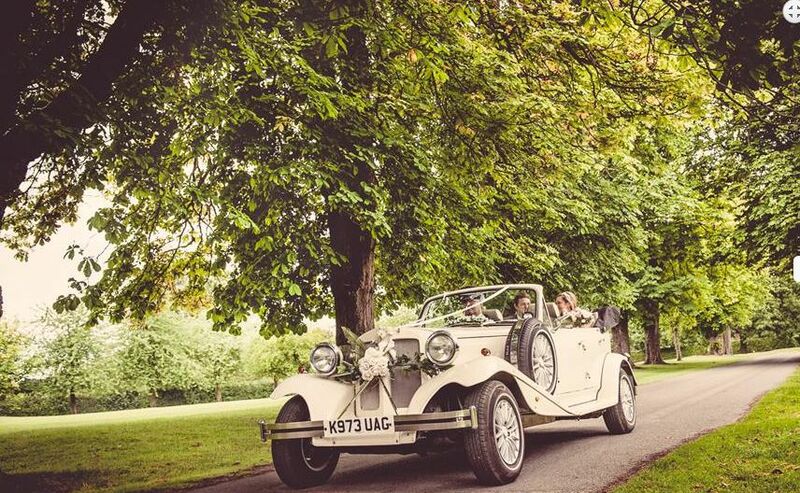 Whichever transport you book, it will be well prepared and we drive the cars personally - Check out our guide to booking a wedding car. 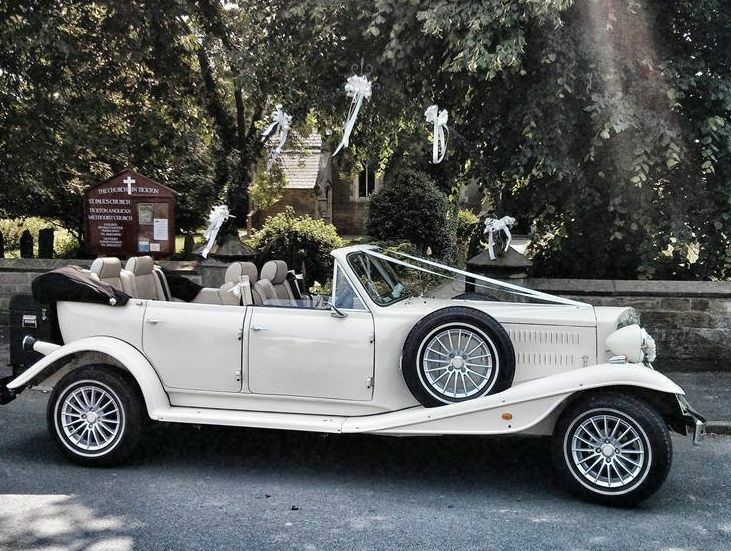 If it's a Beauford wedding car you want, ours is one of the finest examples you will find. We know it inside out and are fastidious about its maintenance. 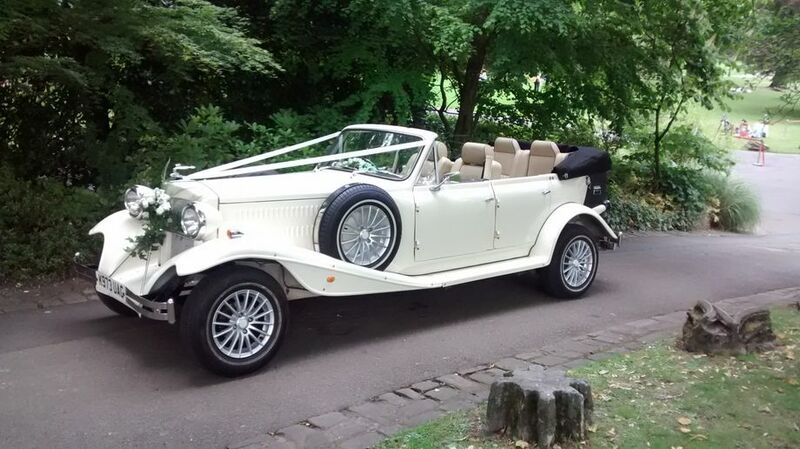 Our cars are properly insured for undertaking Weddings but not for Proms - so we do not do proms. If you are hiring a car for a Prom, make sure it's appropriately licensed and insured! We just want to say a big thank you , the chauffeurs were top blokes and you have been amazing with keeping us updated and always responding to our emails . The cars were unbelievable and we couldn't have wished for anything more, so thank you. We would highly recommend you, you helped make out day perfect.